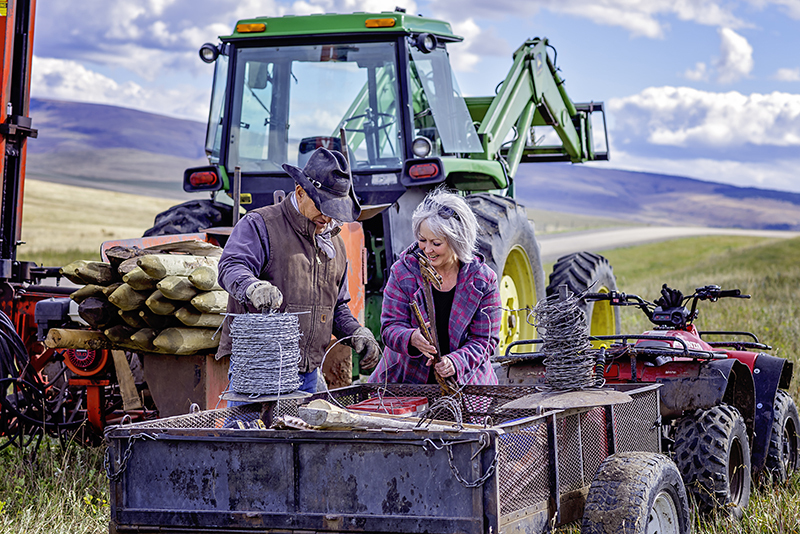 Regardless of age, profession or specific location, Maggie and the Gordons exemplify the commonalities of Montanans as a whole. We are independent and self-reliant. We are weathered, yet strong. We identify ourselves by these characteristics, and struggle to exist in their absence. If there is any power with the strength to threaten this spirit of freedom, it may very well be chronic pain. Over the course of ten years, Josie experienced migraine headaches — often on a daily basis – and extreme lower back pain that radiated into her legs. Maggie recalls having injured her shoulder on two occasions, ultimately causing such severe back pain that sleep seemed impossible. 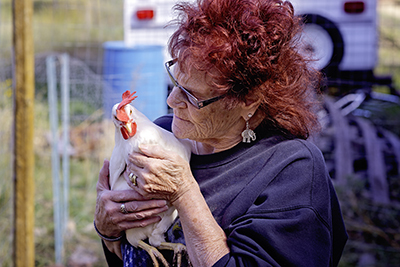 After Margaret “Maggie” Welzenbach underwent a neurostimulator implant procedure, her back pain was dramatically reduced. “Oh my gosh – there’s music!” she exclaims. “I would wake up screaming and hollering,” Maggie says, “and the pain went on like that for about five years.” “It gets overwhelming and very depressing,” Josie admits. 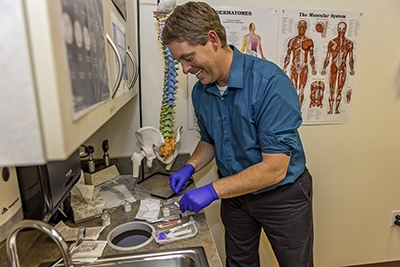 Originally hailing from the small community of Lone Pine, Dr. Craig Sweeney has been helping patients at the Great Falls Clinic for the past two years. 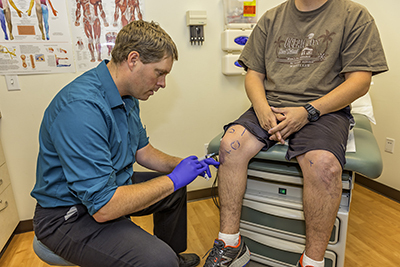 Montana native Dr. Craig Sweeney prepares for his next patient at the Great Falls Clinic. “Before you even have anything done, he makes you feel better because he is so positive,” remarks one of his thankful clients.